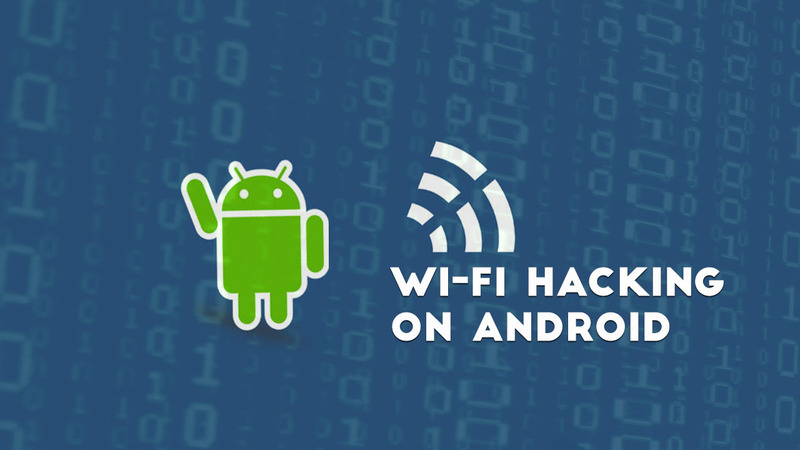 WPS Connect is one of the best Wi-Fi hacking apps for rooted Android smartphones. With this WPS Connect application, you can disable other user’s internet connection on the same Wi-Fi network and can also easily hack any WPS secured Wi-Fi password. This app works with almost all routers. Just download this app to your smartphone and search for Wi-Fi signal. You can also view saved Wi-Fi password from this Android app. WIFI WPS WPA Tester works on normal Android smartphones if you want to just connect a WPS/WPA enabled Wi-Fi network without knowing the password. If you have a rooted Android smartphone, then you can view the hacked password. Nmap is one of the most popular network security scanners and it is also available for Android devices. It is used by professionals for network exploration. It works on both non-rooted and rooted phones. If your device is rooted then you have access to some more features. You can download this app for your Android device. This app allows you to scan networks for finding ports and system details. WiFi Inspect is a security audit tool which helps us to crack the password of any WiFi network. Advanced users use this app in different works but this application isn’t developed for the hacking purpose. Well, wifi hacking is not illegal at all. This app has a bunch of features including UPnP Device Scanner, Network Sniffer, Pcap Analyzer, Port Scan, Host Vulnerability Scan and much more. This application needs a rooted phone to work properly. ZAnti is one of the best Hacking & Penetration tool for Android devices which is developed by Zimperium. Hackers use this application for checking security in websites and servers. It can also be used for other purposes like for Vulnerability Checking, MAC Address Spoofing, Password Auditing and much more. Open the app, and it will ask to enter your email. Simply enter and verify it. After accepting your account, just click on “Start Now” button. Network Tools is the best application to solve any type of errors of networks no matter it’s your Sim network or WiFi network, it will fix them all for you. It also offers some networking services such as DNS Lookup, Ping, etc which can use used for analyzing connection issues. It allows you to check any device’s MAC Address and his vendor name too! If you professional and have enough knowledge to use this type of networking apps, got for it. Else, just scroll down because it’s not an easy task to handle this application. It works on Android 3.0 and upper versions. It has some cool features like DNS Recovery, Port Scanner, etc. It’s really interesting app. Thanks for sharing valuable information. Sir Please tell me how to hack WiFi networks through Network Discovery app…. Please please please tell me…. Hello, if It concerns keeping tabs on a cheating partner, or maybe you are doubting your partner’s sincerity,I know know just the man for the job, (cyberwebkey484(at)gmail(dot)com) can provide an opportunity for you to defend your interest, , (cyberwebkey484(at)gmail(dot)com) helped me extract emails, whatsapp messages, snap,viber, hangouts, his facebook messages and even some pictures, best part is I didn’t have to make physical contact with the phone, , (cyberwebkey484(at)gmail(dot)com) did a quick and decisive hack job for me very well, you should contact him for your hack jobs too, I think he’s the best out there. Wibr+ is really good app to use for WiFi Hack.